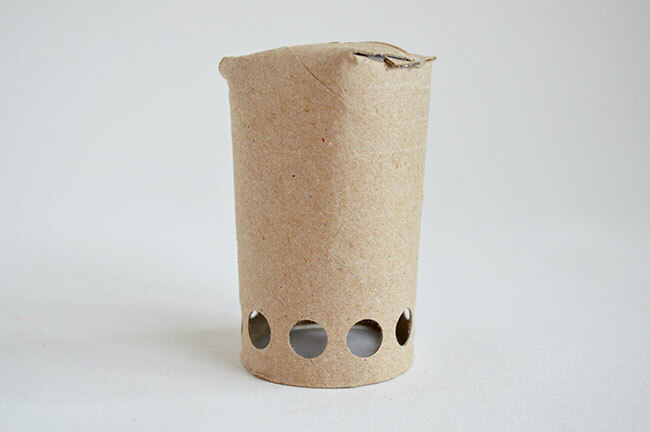 Toilet Roll Crafts For Kids are the best fun for home or classroom crafting – so simple, so quick and so at hand! In less than 30 minutes your kids will have little Wiggles and Oggys of their own to play with – continue reading to see how. 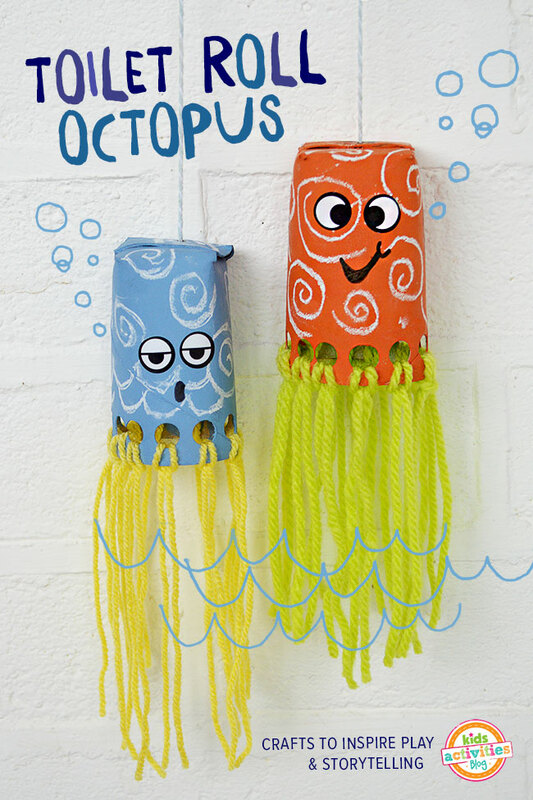 When I was making these toilet roll octopus at the weekend with my daughter Molly, she was making up a little story as she was doodling swirls and giving the octopus faces. I was trying to scribble down the story (snippet above), trying not to miss a beat. I just ADORE when this happens, when our crafting inspires storytelling, the stories can go in any and all wonderful directions!! The Mayor of OctopusLand featured in this tale, making laws!, as was a jealous friend called Olly – let’s just say it was dramatic, but they all lived happily ever after – tee hee. 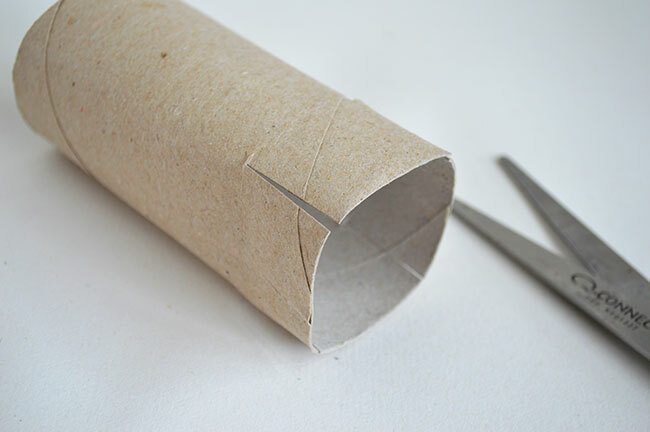 Start by making four slits in one end of the toilet roll, as shown. 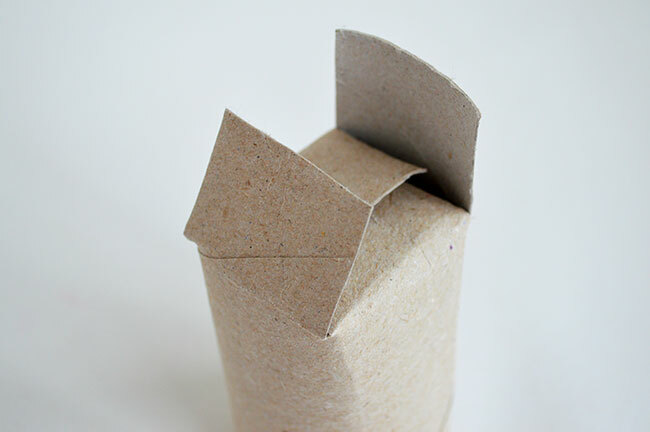 Fold the pieces in on each other and glue into position. Punch holes all around the base of the other end. 1) The Mess Free ‘Instant’ Option: with markers or colored chalk decorate the toilet tube with squiggles and attach your googly eyes. 2) Paint the toilet tubes with nice bright fun colors and leave aside to dry. When dry decorate with some white chalk and your googly eyes. Finally loop some lengths of wool into the holes all around the base for the wibbly wobbly tentacles. 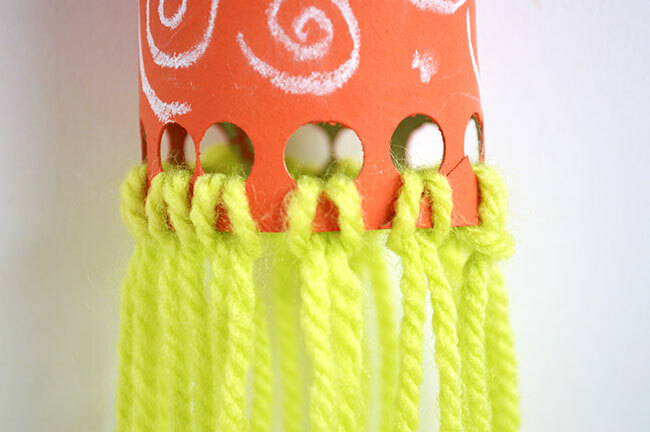 If you punch a hole in the top and attach a piece of string you can carry your little octopus friend around and make him dance and wiggle.